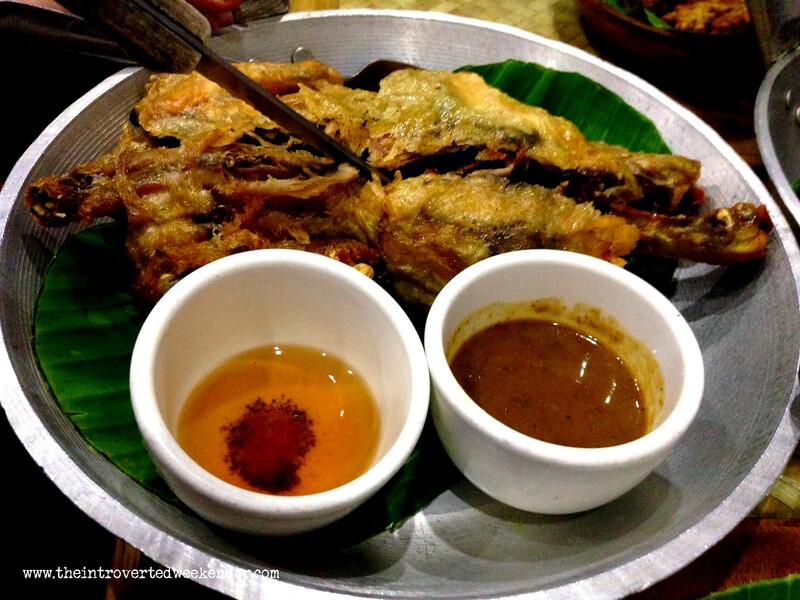 An unplanned Friday night dinner led us to Apag Marangle at Park Square, directly behind SM Makati. I have not previously heard of that name but it definitely sounded Kapampangan. 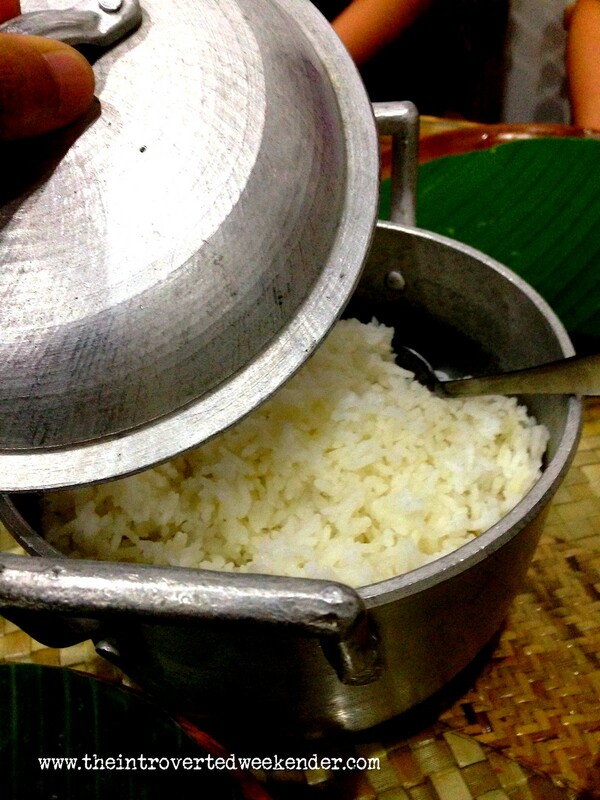 After the utensils were set, rice was brought in served in calderos (metal pots) while the rest of the dishes were served in either clay pots or porcelain bowls. We ordered ribs adobo, fried native chicken, grilled tilapia, sinigang na cream dory, pork sisig and balut sisig.We reserved a whole function room and placed our orders in advance. The restaurant's interiors are adorned with native materials, reminiscent of a plush provincial home. 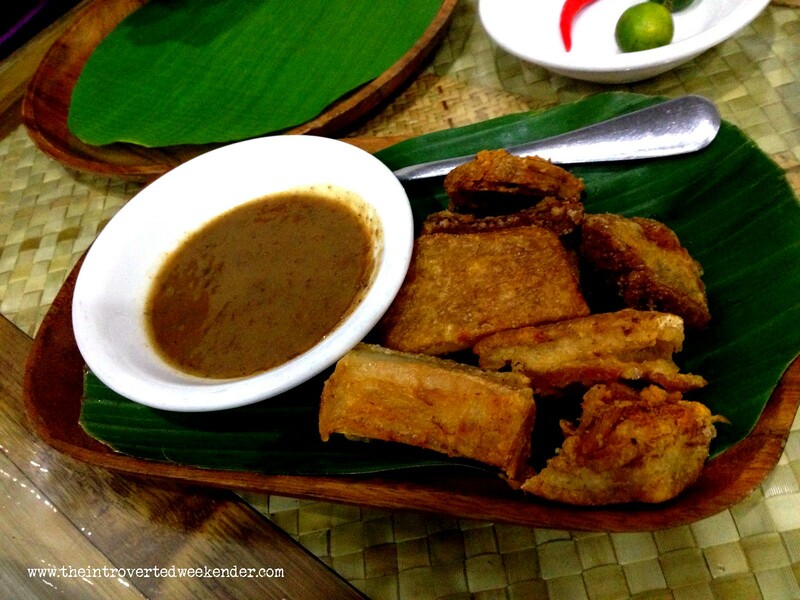 Apag Marangle did not disappoint in terms of flavor but there were some dishes that stood out the most, namely the ribs adobo, pork sisig and balut sisig. 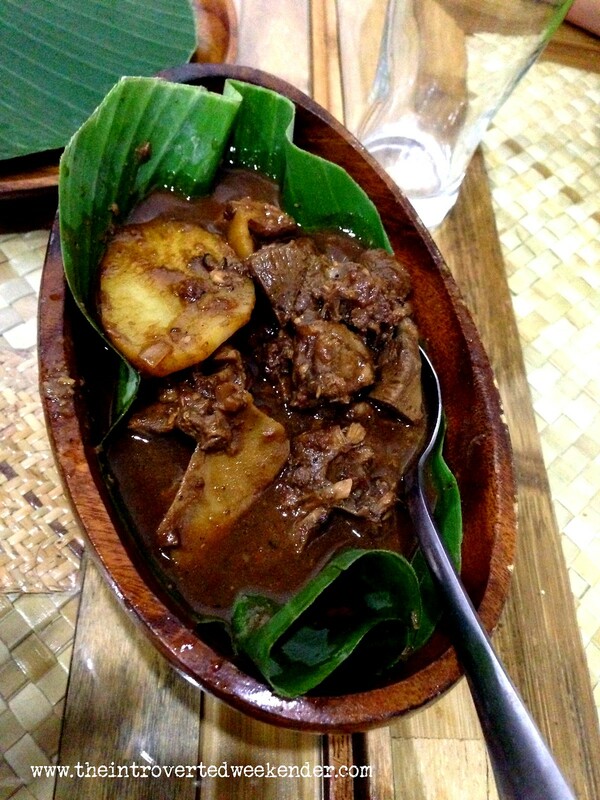 The adobo had chunks of lean meat swimming in a rich brown sauce; the piquant flavors of garlic very evident. 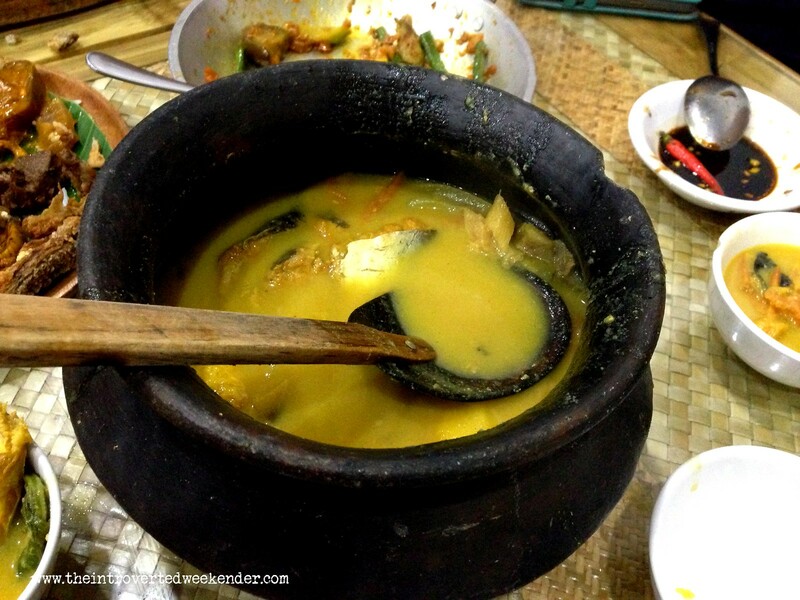 It was best eaten together with a steaming plate of rice. The pork sisig, meanwhile, was meaty and had just the right crunch. It was meaty with just the adequate amount of fat to keep it moist and flavorful. I also found the balut (fertilized duck egg) sisig a very unique way of putting a twist to balut. 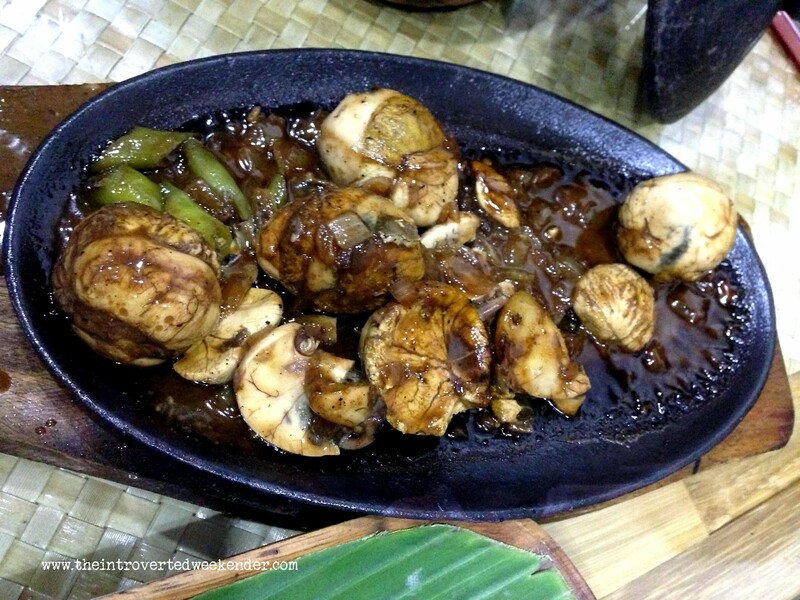 It was seasoned just right and cooked using balut sa puti, a variety of the egg with a very small chick. I have tasted balut ala pobre and balut adobo but these have a tendency to be over-seasoned, making the rich flavor of the balut even richer, rendering it a bit overpowering for the palate. 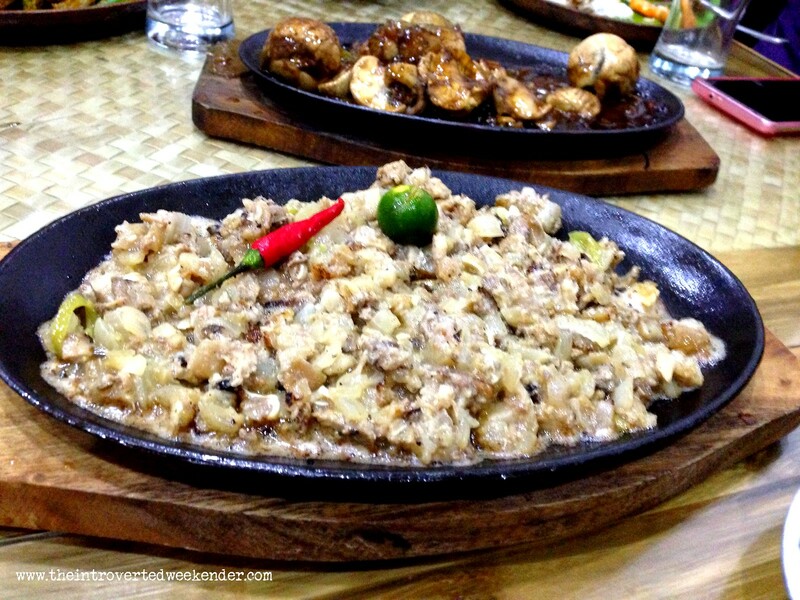 Apag Marangle's balut sisig is definitely a must-try. 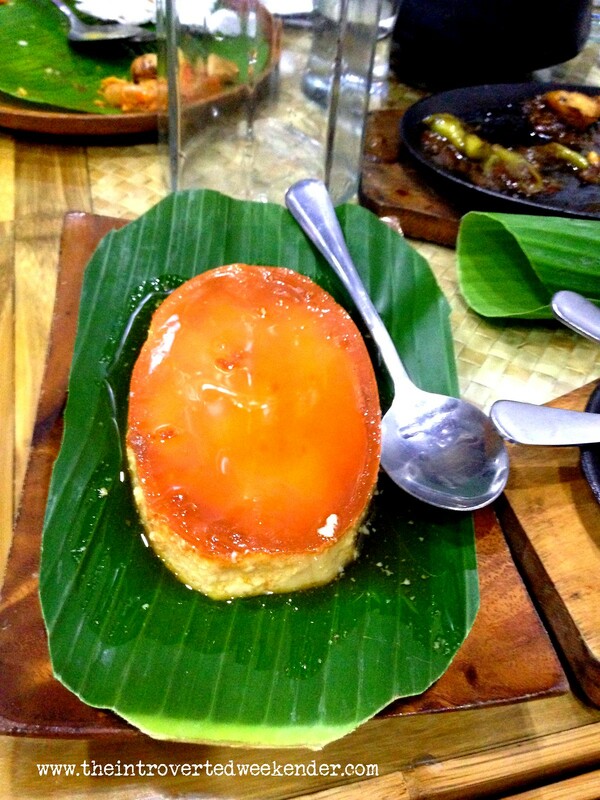 For dessert, we had leche flan. It was textbook -- delicious and creamy but not outstanding. 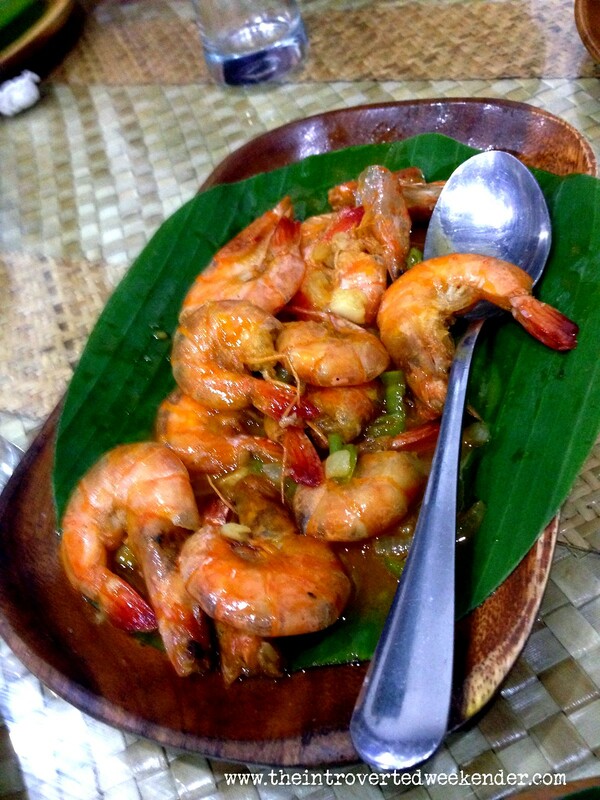 Food at Apag Marangle is also priced well, ranging from Php150 to Php275 for appetizers and Php300 to Php545 for the main course. 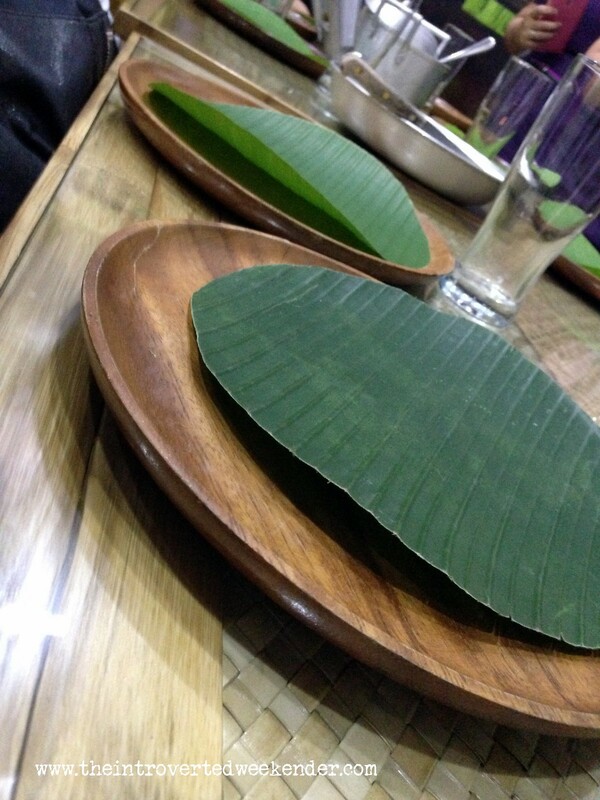 Each dish is good for two to three people. 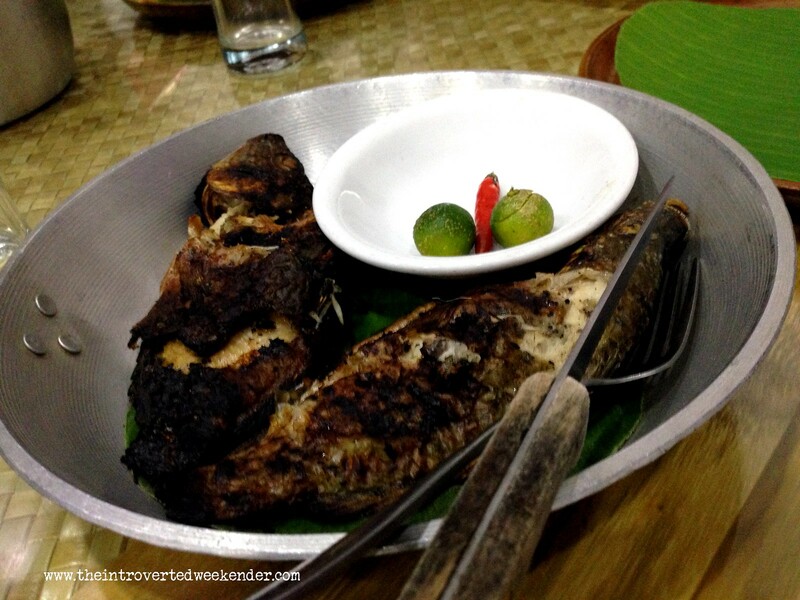 If you are looking for great-tasting Filipino cooking that is beyond the usual, Apag Marangle is definitely worth a visit. *Note: this branch is already closed.